The Russian Club Gallery just published my new short story, ‘Auto-destructive Arts Policy’, as a folded A3 pamphlet to accompany the exhibition/project by Rupert Ackroyd and Alison Turnbull, which opened on 30 March. The pamphlet is free and is available from the gallery until the show closes on 7 May, or while stocks last. I am reproducing the full text of my story below, but of course the pamphlet is the real thing. I’ve given away the few spare copies that I had, so I would recommend getting to the Russian Club asap to see the great show by Rupert and Alison and to obtain your free copy. Three men have each been sentenced to 21 days’ hard labour for selling a leaflet called “The Fulham Worker” which stated that the Welsh Guards had been confined to barracks for intimidation. Three men and a woman have appeared at Westminster Magistrates Court, Horseferry Road, London, charged under the new legislation with Conspiracy to Exhibit and for distributing a satirical broadside entitled Auto-destructive Arts Policy . This publication includes a text that one of the accused, the author Tony White, allegedly produced by ‘cutting-up’ and ‘re-mixing’ (‘for satirical purposes’, he claims) artist Gustav Metzger’s 1974 call for an ‘Art Strike’ with a speech made at the State of the Arts Conference at the RSA London on 10th February 2011 by the Right Honourable Ed Vaizey MP, Minister for Culture, Communications and Creative Industries. An editorial standfirst asks whether Vaizey and Secretary of State for Culture, Olympics, Media and Sport Jeremy Hunt might not themselves yet succeed where Metzger failed, by actually creating the ‘years without art’. The art world uses art to confuse and divert us. The only way through this horrifying reality is to face the fact that the arts are currently deployed against the interests of the state. That art, the voluntary arts and the amateur arts should be in the service of revolution against the state and capitalism is unsatisfactory. Nevertheless much of the debate about the arts focuses on fighting the system. Artists can use the same methods of production and distribution as me to talk about lack of money, but I call for a lack of art, for years without art, a period of three years – 2011 to 2014 – when artists will not work, sell work, or permit work to be supported by grant funding. It’s worth reminding people – and some still seem oblivious to this fact – that last year’s settlement took place against the background of the publicity machinery of the art world. Art pretends that it would have been possible for the dealer/museum/publicity complex to continue juggling artists, finance, works and patronage systems. My view is that our cup is still plentiful but we should refuse collaboration with any part of the art world. National and local government is at best disingenuous: the years without art will see the collapse of many local libraries, local theatres and theatre companies or local arts centres, dance companies as well as diverse arts events and organisations. Institutions handling contemporary art will be severely hit and will have to reduce their staff. Magazines will fold. Yet the ramifications of inaction would be tough. The last thing a Whitehall Minister needs is the arts demanding changes to every decision they disagree with. I believe that three years is the minimum period required to cripple the Arts Council and create difficulties for artists. Artists should be sufficiently wealthy to live on their own capital. It will be necessary to prevent not just the local library or the local theatre or the local arts centre from exhibiting and publicising art in the future but the entire community. The government is passionately committed to smothering art and the denial of labour is our chief weapon. To bring down the art system it is necessary that people who once practised art never regain their creative spirit; to eradicate it in every corner of the country. The accused are (in alphabetical order): Rupert Ackroyd, a sculptor working from Myddleton Square, Islington; Matt Golden, Gallery Director of the Russian Club Gallery, named after a snooker club that previously occupied the premises on Kingsland Road in London’s East End; Alison Turnbull, a highly-regarded painter latterly of Kentish Town but born Bogotá, Colombia, and; the above-named Tony White, best known for penning a novel set in the contemporary East End but now living in south west London. Turnbull too, has exhibited extensively in the UK and around the world, most recently at Matt’s Gallery, Copperfield Road, where her installation, Observatory (2010) took as its starting point the ground plans of one such astronomical edifice built by Thomas Jefferson, third President of the United States. Chief Crown Prosecutor Astbury asked that twenty pages of notes produced by White during apparent ‘studio visits’ to premises rented by Ackroyd and Turnbull respectively be considered for disclosure. These notes, she claimed, recorded heavily coded conversations – also held on Thursday 10 February 2011 – in which Ackroyd talks for example of ‘English vernacular’, of craft, architecture and the ‘heavy, conservative nature of the built world’. He describes journeyman carpenters, air-dried European oak and mortice and tenon joints. Turnbull also speaks of domestic vernaculars; particularly those found in 1960s wallpapers. She talks of lozenge motifs and counterintuitive perceptions of size such as might be created by distance or proximity. White questions whether this might produce a kind of domestic ‘dazzle’. Turnbull repeatedly mentions the Japanese architectural concept of kirei sabi or ‘gorgeous humbleness’. The CPS pointed out the current proliferation in the art world of ‘agit-prop’ ‘installations’ comprising sit-ins, workshops and teach-ins, as well as materials including barrels, chains, carts, paving slabs, stones, cobbles, bricks, planks, scaffolding, earth, sandbags, tables, doors, Molotov cocktails, gas masks, motorcycle helmets, fireworks, signs, posters, placards and sundry items that might be instantly repurposed to create a protest or to produce an impromptu barrier to blockade for example a street or public square, or to defend such a barricade. Expert witness Professor Mark Traugott of the University of California Santa Cruz and author of a new book The Insurgent Barricade (University of California Press) spoke of a ‘barricade consciousness’ when called to explain his ‘preoccupation’. Citing historian and political scientist Charles Tilly, Traugott described a ‘repertoire of collective action’: the spectrum of contemporary approaches, methods and tactics available to protesters. Structures that were not constructed and defended by civilian insurgents, although perhaps identical in all other respects, are considered here only as a point of contrast with the revolutionary barricade proper. Even one and the same structure, built by insurgents but captured and turned to account by a military force attempting to quell their rebellion, will, from the moment it changes hands, cease to be treated as a barricade under the definition adopted in this study. All four were released on bail and will appear at Southwark Crown Court for a plea and case management hearing on 7th May. Father of one Golden was ordered that the Russian Club Gallery premises should remain open to the public until then, from Tuesday to Saturday each week, midday to 5pm. 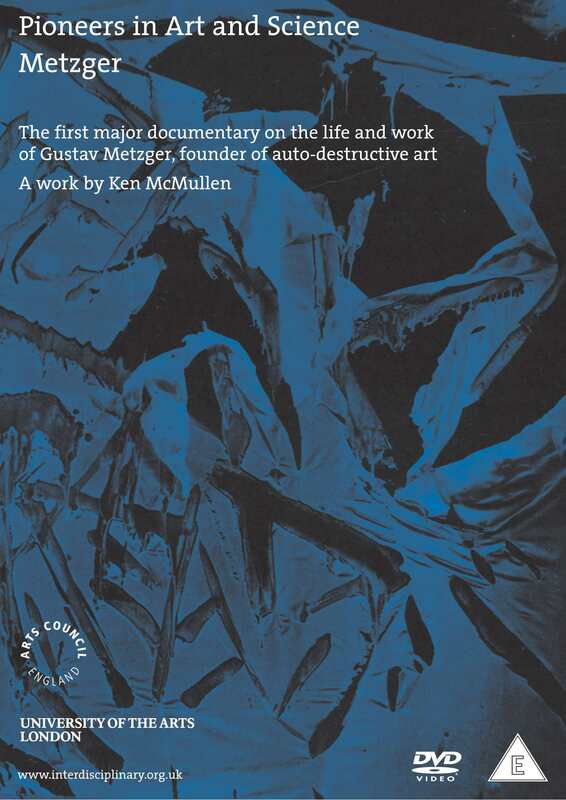 Pioneers in Art and Science: Metzger, (DVD) dir. Ken McMullen, published London: Arts Council England, 2005. Available from Concorde Media. Mark Traugott, The Insurgent Barricade, Berkeley: University of California Press, 2010. Alison Turnbull, Spring Snow: A Translation, London: Book Works, 2002. Tony White, ‘Auto-destructive Arts Policy’, in Rupert Ackroyd/Alison Turnbull, London: Russian Club, 2011. Available free from the Russian Club Gallery, 340-344 Kingsland Road, London E8 4DA.